Just curious. How do you all see the game Saturday going down? 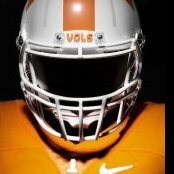 I actually feel if the Vols can clean up some of the mistakes and make some plays with Jennings, Calloway and Palmer that Tennessee has a chance. If Chandler or Banks cannot get it going I hope that staff tries some quick hitches and quick out passes and get the WRs out there. 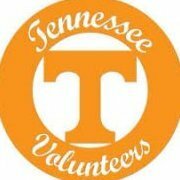 I also hope the Vols can control Snell. I mean the QB doesn't scare me. So I think there is a chance. Snell if out is huge. If on a gimpy leg and in the game that is still huge if he isn't 100%. Because if you can slow him down then you have a chance. That QB they have has been trash most of the season. I know this might be a wishful thinking kind of deal but I feel good about this game. Speaking for myself I was having a hard time believing this was the same team that struggled against Charlotte. The OL blocked, the backs ran through holes big and small, JG hit open receivers, the defense was smothering and Snell was mostly a non-factor. Well I got the 34 points right for the Vols. I never thought they would hold Snell down that bad. I am gonna say something I haven't said much about JG. That boy played a hell of a game. If he can get some pocket presence a little improved who knows. I was impressed with him Saturday.